No more gym, or weights, or excuses. 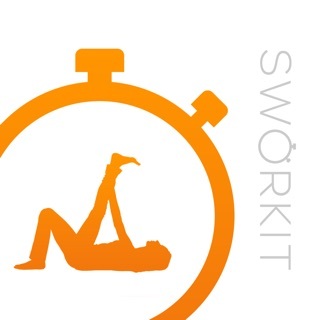 Sworkit is the workout program for people who have felt too busy to workout, beginners, athletes, travelers, people with injuries, the young, the old. Did we miss anyone? Yes, we were rated #1 by a recent study assessing fitness apps based on the parameters for safety, stretching, progression, and more set by the ACSM (American College of Sports Medicine). We've delivered over 50 million workouts to people of all fitness levels. Sworkit is on a mission to make the world a significantly healthier place, by creating a long lasting, generational impact. 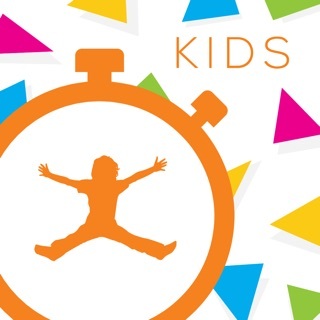 Your subscription not only gives you access to a fun, simplified fitness experience, but we also use your subscription to run out Sworkit Youth Initiative. Yes, there is a subscription to use Sworkit, but we let you try Sworkit free for a full week! If you decide Sworkit is not for you, just cancel your subscription via iTunes a few days before your trial ends to avoid being charged. • Provide the ability to make your own workouts. That means you can make a workout with all of your favorite exercises, nothing you despise. Hello, motivation! We made this app for anyone who needs an easy solution for fitness, without the complicated exercises and overpriced guidance, we encourage everyone to find what they love in the app and thrive. So that means it's for you, your family, your friends, your teacher, your boss. It's for the traveler that needs energy, the new mom who can't make too much noise, and the dad who is realizing the dad-bod fad went out of style way too fast. Sync your workouts to MyFitnessPal, Strava, and the Apple Health app. For Apple Health, you can allow Sworkit to save workouts and energy burned. • Access to Sworkit on all supported devices: Including our Web App and Apple TV! With two young kids at home taking the time to work out regularly at a gym is like a luxury I cannot afford. Arranging for someone to watch my little ones a few times a week, prep time, driving time, and the high price of gym memberships all are very hard to overcome. In my case though carrying my little angels around was severely worsening my preexisting back problems. So I had to do something! This year my New Years resolution was to repeatedly work out or stretch to try to improve my chronic back pain and that’s when I found Sworkit!! It’s been easy to do while my babies are sleeping down the hall. The wonderful videos and clear description of each of the exercises really helps guide me through each routine. It’s like having a personal trainer available in my own home whenever I want to work out. The best part is that on the days I do my workouts (still mostly back stretches) I feel soo much better all day long. Thank you Sworkit team!!! You’ve made a huge difference in my life. The only feature I’d like to see added is to more easily track the days I do and don’t work out. Something like the Apple Activity calendar and while you’re at it the Awards (little badges) I find particularly helpful in staying motivated as well. Please keep making this app better and better. It really helps to keep folks healthy! Best at home workout app EVER!!! I have bought and used tons of workout videos, kits, systems and apps. Each has its pros and cons, but I have found the most effective need to have four qualities: They are (1)a variety of workouts to keep you from getting bored, (2) progress tracking features to motivate you (3) ability to adjust workout lengths to accommodate changes to your schedule (4) updates, improvements, and maintenance of the app by its creators. Sworkit is the only workout app I’ve found so far that has all four of these qualities. I used to go to the gym but due to my having to start traveling for work, that became unsustainable. With Sworkit you can do the workouts in a hotel room, living room, just about anywhere. And you don’t need ANY equipment( although I pack fitness cables just because they are a small and versatile way to add to my workout). Until I hit the lottery and can hire my own personal trainer, Sworkit is, for me, a personal trainer in an app! Absolutely love the apps y'all put out but if there's one thing I could change it would be to be able to customize your workout a little more. I think there should be a screen that lists all the different exercises in the program and you should be able to toggle certain ones on/off. For example I feel awkward at the gym doing genie sits for abs and would rather be able to turn that off and have more options to turn on. Right now I just substitute it for say, penguin crunches or mountain climbers. If there's no way for you to add an exercise option on your end then I think in the toggle screen you should be able to add the name of an exercise you like so it comes up in rotation. Hopefully you consider this!! I rave about these apps to all of my friends but that's one thing I would definitely change.